HAY, WILLIAM, architect; b. 17 May 1818 at Dikeside, parish of Cruden, near Peterhead, Scotland, son of William Hay, a grain merchant, and Jean Alexander; d. 30 May 1888 at Joppa, near Edinburgh, Scotland. William Hay, who had been apprenticed as a joiner, broke a leg in a fall while working and at his doctor’s suggestion decided to study architecture while he was convalescing. He was raised as a Scottish Episcopalian and his first commission was appropriately St James Episcopal Church at Cruden in 1843. The next year he went to Edinburgh as assistant in the office of the prominent architect John Henderson. In 1846 George Gilbert Scott, one of the best-known Gothic Revival architects of the day, retained Hay as clerk-of-the-works in the construction of the new Anglican Cathedral of St John the Baptist for Bishop Edward Feild* at St John’s, Nfld. Late in that year and early in the next Hay travelled extensively in the British Isles retaining skilled workers and arranging for the supply of materials. In April 1847 he sailed for St John’s accompanied by his wife, Janet Reid (1819–60), whom he had married in 1844, and her brother Thomas, their ward, who later went on to a prominent political career in Bermuda. Hay remained in St John’s until after the completion of the cathedral’s nave in 1850; it was gutted in the great fire of 1892 but was subsequently rebuilt within its shell. While in Newfoundland he also drew plans for a proposed church at St Francis Harbour in Labrador. In 1848–49 Bishop Feild, who had become a close friend, consulted him about the rebuilding of the pro-cathedral in Hamilton, Bermuda, then part of the diocese of Newfoundland. Hay returned to Scotland in 1850, but his movements during the next three years are rather obscure. He was architect of St John’s Church at Longside, near Peterhead, in 1853, and he apparently visited Montreal and Chicago with the idea of establishing a practice. He finally settled at Toronto where he quickly became one of the leading architects. There he designed the Toronto General Hospital and Gould Street United Presbyterian Church, 1855; the House of Providence, 1855–58; the original parts of St Basil’s Church and St Michael’s College, 1856; the school addition to Holy Trinity Church, 1858; and the Yorkville Town Hall, 1859–60. He also worked for the provincial government, extending the Parliament Buildings on Front Street and remodelling the old hospital on Gerrard Street for the Executive Council offices in mid decade; as well he designed a wooden church for the garrison. He favoured for churches and church-related commissions Gothic architecture in the high church style preferred by the English architect, Augustus Welby Pugin; Hay’s institutional buildings were often mansard-roofed and were in the eclectic style now called Second Empire. Believing that utility and convenience should be basic requisites of architecture, he incorporated the latest ideas in heating, ventilation, and sanitation. Of all these commissions only the work at Holy Trinity and much-remodelled versions of St Basil’s and St Michael’s survive. Hay also designed numerous dwellings including the parsonage of Holy Trinity Church (1861) and the adjacent Scadding House, built about 1860 for Henry Scadding*, rector of Holy Trinity. Although the latter has since been remodelled and moved a few feet, they can both still be seen. Outside Toronto he was responsible for several surviving buildings: the Commercial Bank (now the Empire Life) at Kingston in 1853, and the churches of St George’s (Anglican) at Newcastle in 1857, St Andrew’s (Presbyterian) at Guelph in 1857–58, and St Paul’s at Southampton in 1861. He also prepared designs for other structures. Hay was active in the social life of Toronto, a member (and vice-president, 1859–61) of the Toronto Mechanics’ Institute, and on the council of the Canadian Institute, 1858–60. Concerned with provincial organizations as well, he was on the executive committee of the Board of Arts and Manufactures for Upper Canada and was secretary of the Association of Architects, Civil Engineers, and Provincial Land Surveyors of Canada. An ardent freemason, he was associated with many masonic organizations. After the death of his wife in 1860 he determined to leave Toronto and, probably early in 1862, turned his practice over to his recently acquired partner Thomas Gundry and to Henry Langley*, who had studied with him for seven years. Hay’s activities then again become uncertain. In that year he visited Bermuda, working on the nave of the church for Feild, but in 1863 he appears to have settled briefly in Edinburgh before proceeding to Halifax, N.S., where he was listed in partnership with David Stirling of that city and was architect of the mansion of Alexander Keith*, Keith Hall. Shortly afterwards, perhaps after visiting other parts of the empire, Hay returned to Scotland, opening a practice in Edinburgh, and established his residence, Rabbit Hall, in the suburb of Joppa. Once again an active freemason, he eventually became a member of the grand committee of the grand lodge of Scotland. In 1870 he married Jemima Huddleston (d. 1905) of Ryde, Isle of Wight, and they were to have one daughter. Hay’s most important work following his departure from Canada was the restoration of St Giles’s Cathedral in Edinburgh between 1872 and 1883. In this he was assisted by George Henderson, son of his old master: the younger Henderson became his partner about 1878 after practising in Australia for many years. The partnership carried out many works at Edinburgh, Peterhead, and Galashiels; they also worked across the border in Cumberland. Hay visited Bermuda in 1883 to arrange for repairs on the pro-cathedral and to design Government House. He and his family then made an extensive tour of North America, during which they visited his former residences in Canada. In 1884, when the cathedral in Bermuda burned, Hay was asked to design the replacement, the present Cathedral of the Most Holy Trinity. 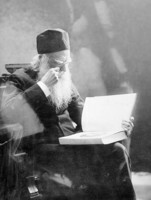 When Hay died in 1888, after eight months’ illness, he left a personal estate of some £7,500 and a flourishing practice. Described as a man of “kindly and genial disposition,” he played an influential role in Canadian architecture in the mid century, although few of his Toronto buildings survive today. His career provides a good example of how the Victorian empire was united not only by soldiers and administrators but also by professionals who made use of the opportunities provided by its many territories. William Hay was the author of “Architecture for the meridian of Canada” and of “The late Mr. Pugin and the revival of Christian architecture” in the Anglo-American Magazine (Toronto), 2 (January–June 1853): 253–55 and 70–73 respectively. A photocopy of the “Hart family diary” covering the period from 1842 to 1966 is held by F. H. Armstrong of London, Ont. General Register Office (Edinburgh); Register of births and baptisms for the parish of Cruden, 1818; SC 70/1/270: 211–23, Inventory of estate of William Hay, 20 Nov. 1888; SC 70/4/234: 703–23, Marriage contract of William Hay, 3 June 1870, and testamentary deed of William Hay and Jemima Huddleston or Hay, 20 Nov. 1888. Royal Commission on the Ancient and Historical Monuments of Scotland (Edinburgh), Buildings of Scotland Research Unit papers. “Ecclesiastical architecture: village churches,” Anglo-American Magazine, 4 (January–June 1854): 20–22. “The editor’s shanty,” Anglo-American Magazine, 4 (January–June 1854): 211–13. “New churches,” Ecclesiologist (London), 11 (1850): 200–1. “The late Mr. William Hay, architect,” Builder (London), 54 (January–June 1888): 414. “The late Mr. Wm. Hay, architect,” Canadian Architect and Builder (Toronto), 1 (1888), no.7: 11. D. M. Lyon, History of the Lodge of Edinburgh (Mary’s Chapel) no.1: embracing an account of the rise and progress of freemasonry in Scotland (Edinburgh and London, 1873), 349, 353. T. S. Reid, Trinity Church, Bermuda; a sketch of its history, drawn from various sources ([Hamilton, Bermuda? ], 1886), 8–9, 11, 15–16. Hutchinson’s N.S. directory, 1864–65: 138–39. Toronto directory, 1859–60: 212, 273, 276, 278–79. [G. P. Ure], The hand-book of Toronto; containing its climate, geology, natural history, educational institutions, courts of law, municipal arrangements . . . (Toronto, 1858), 234–36, 258–59, 268–70. Wallace, Macmillan dict., 307. Eric Arthur, Toronto, no mean city ([Toronto], 1964), 85, 114, 116–17, 124–25, 142, 247, 249. B. F. L. Clarke, Anglican cathedrals outside the British Isles (London, 1958), 55–56, 126–27. William Dendy, Lost Toronto (Toronto, 1978). T. A. Reed, “Toronto’s early architects: many fine buildings still standing,” Royal Architectural Institute of Canada, Journal (Toronto), 27 (1950): 46–51. Frederick H. Armstrong, “HAY, WILLIAM,” in Dictionary of Canadian Biography, vol. 11, University of Toronto/Université Laval, 2003–, accessed April 24, 2019, http://www.biographi.ca/en/bio/hay_william_11E.html.